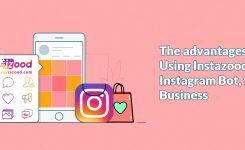 Lately, Instagram announced two updates that make it easier to shop on Instagram, whether you are merely in the mood to scroll your favorite brands or stumble upon something you love. They started testing Shopping in Stories in June, and now they are rolling it out globally and extending it to companies in 46 countries. 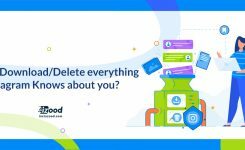 Now when you are watching behind-the-scenes Stories from your favorite companies and view something you like, you can quickly tap on a product to learn more about it. 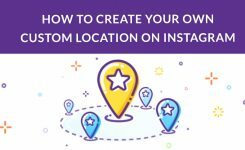 More than 400 million Instagram accounts reach for the Stories every day to feel closer to their friends and favorite accounts. 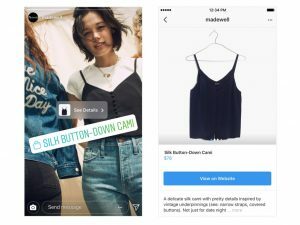 So, with one-third of the most-viewed Instagram stories coming from companies, Shopping in Stories enables business accounts to tell an even more in-depth story about what is behind their products. They have also announced a Shopping channel in Explore page that will be personalized to you. Topic channels let you browse across your interests and go more in-depth on any field you like in Explore. 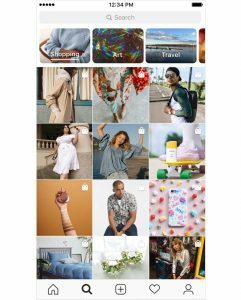 Now, when you just want to shop for fun, you will see a channel devoted to Shopping posts from the companies you follow and brands you might like. This feature has begun rolling out today and will expand globally on the following weeks. Shopping is more than a task – it is also about what you discover on the way. For many, shopping is an enjoyable way to get inspired and connect with new and exciting brands. So thanks to Instagram, from now on, you can enjoy shopping as much as you can.